A smartphone map application is generally spread as a navigation method to a destination. However, the visual navigation causes “Texting while walking”. In teaching by voice guidance or vibration, it is necessary for the user to interpret the meaning of information presented. In order to solve such problems, it is ideal to navigate the user unconsciously and to minimize the interpretation of information. 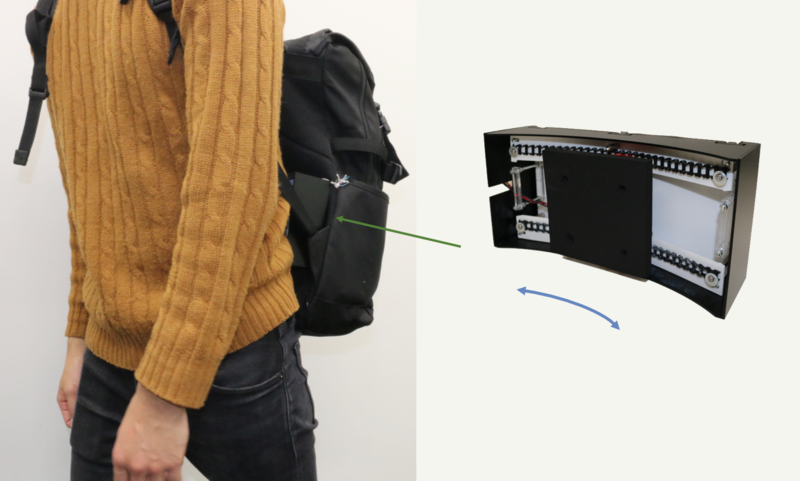 In this research, we propose a method to navigate walking of the user by mechanical equipment build in backpack. 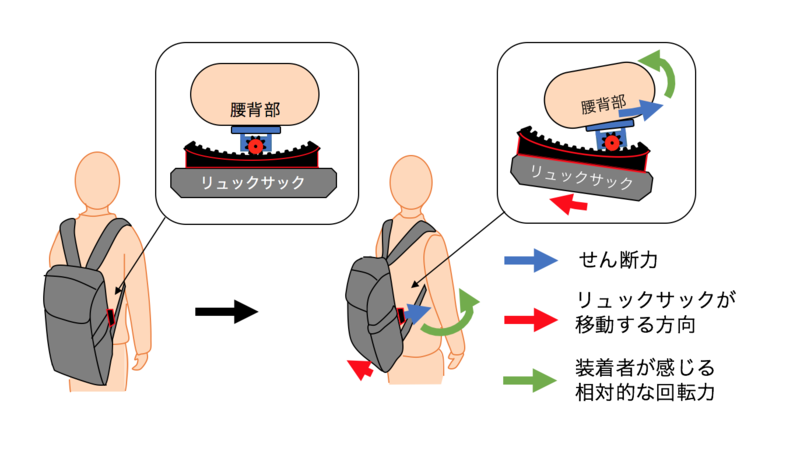 By giving shearing forces between the backpack and the back of the waist, the rotation of the waist is relatively felt, and the walking direction is unconsciously navigated. We installed a device that presents shearing force to the back of the waist and examined its applicability to walking guidance.